Edwin Harwood, Doctor in Divinity: A Sermon Preached in St. John's Church, New Haven, Connecticut, Sunday, February 16, 1902. New Haven: no publisher, 1902. A Contribution to the Church Question: An Essay, Read before the Associate Alumni of the General Theological Seminary. 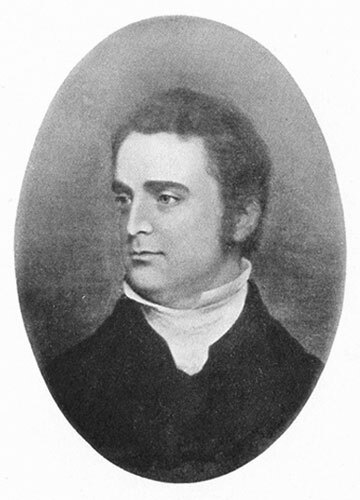 The Relation of the Incarnation to the Progress of Human Thought: An Oration before the Connecticut Beta of the Phi Beta Kappa, at Trinity College, Hartford, July 27th, 1853. Hartford: Tiffany and Co., 1853. The Causes of Filial Impiety: A Sermon, Preached in St. Paul's Church, New Haven, Conn., Sunday, October 12th, 1856. New Haven: W.H. Stanley, 1856. The New Civilization and the New Speculative Thinking: An Address before the Society of the Alumni, of the University of Pennsylvania, Philadelphia, Dec. 22, 1859. Philadelphia: King and Baird, 1860. The Pre-eminence of Jesus Christ, or, The Order in Things to be Believed: A Sermon before the Seventy-eighth Convention of the Diocese of Connecticut, in St. John's Church, Bridgeport, June 10th, 1862. New Haven: Tuttle, Morehouse & Taylor, 1862. Canaan, Shem and Japheth: A Sermon Preached in Trinity Church, New Haven, Sunday October 25, 1863. New Haven: Published by Thomas H. Pease, 1863. An Address Made in Trinity Church, New Haven, All Saints' Day, Sunday, November 1, 1863, Commemorative of the Late Frederick Croswell. New Haven: Thomas J. Stafford, Printer, 1863. The Protestant Episcopal Church in New Haven and for New England: A Sermon Preached at the Semi-Centennial Celebration of the Consecration of Trinity Church, New Haven, Wednesday, February 16th, 1866. New Haven: Tuttle, Morehouse and Taylor, 1866. In Memory of William Augustus Muhlenberg, D.D., LL.D. : A Discourse. The Historic Episcopate and Apostolic Succession, a Paper Read before the Church Congress, Louisville, October, 1887. New York: Thomas Whittaker, 1887. 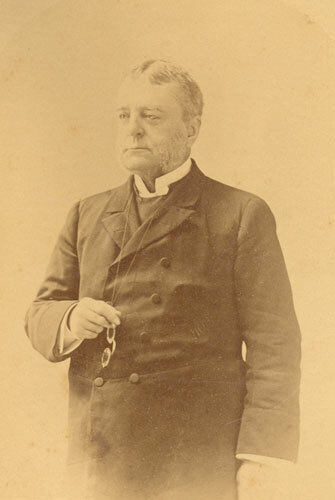 Phillips Brooks, Late Bishop of Massachusetts: An Address Delivered in Trinity Church, New Haven, Sunday, February 19, 1893. New Haven: Tuttle, Morehouse and Taylor, 1893. The Beginnings of the Episcopal Church in New Haven: A Discourse Delivered in Trinity Church, New Haven December 30, 1894. New Haven: Published by the Wardens and Vestry, 1895.